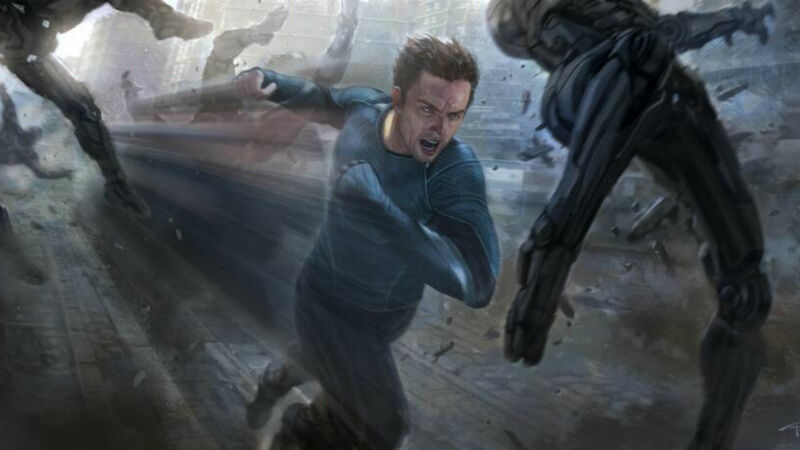 More SDCC Age Of Ultron Posters Released – It’s All Coming Together! As reported yesterday, there was a couple of concept art posters for next year’s ‘Avengers: Age of Ultron’ released at San Diego Comic Con. And as suspected, they are indeed part of a bigger poster. 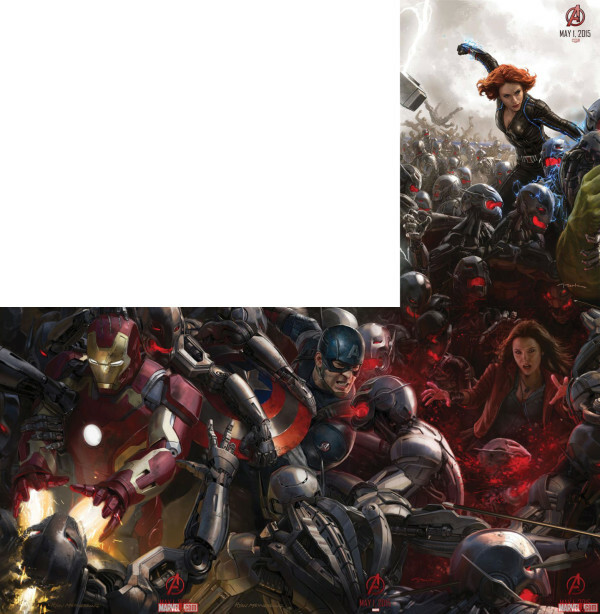 A few more pieces of the picture puzzle were released and we’re now getting more of a picture of how crazy the Avengers vs Ultron’s minions will be. So from what we can see (and not see), Thor and Hulk are still to make an appearance along with Hawkeye as we noticed his arrow piercing a minions skull yesterday. A nice callback by the poster artist! So with more segments of the posters to come, check back with us on Need to Consume to see the picture of the Avengers….. Assemble?